Judo, the Gentle Way... we have taught judo to thousands of men, women and children, from recreational "just for fun" enthusiasts, to World Masters Champions, Kata Champions, Olympians, and national and regional competitors. Come learn to throw, grapple, and apply judo submission techniques with us today. 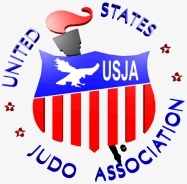 Founded by Tom Crone & Michelle Holtze, the two highest ranking Judo Masters in Minnesota. Now instructed by black belts, Mike Norton and Brandon Krech. North Star now provides Judo at the Spirit Aikido Dojo. Learn Judo for fun, recreation and sport. Enhance your grappling skills, no matter your grappling specialty. Your self-defense skills aren't complete without judo. Learning our balance and falling skills gives you life enhancing benefits. Confidence, self-esteem, improved demeanor and self-assurance are yours through judo. Facebook NorthStarJudo Facebook for videos and post to see whats happening.